Nearly 50 years ago to this day, the Rev. 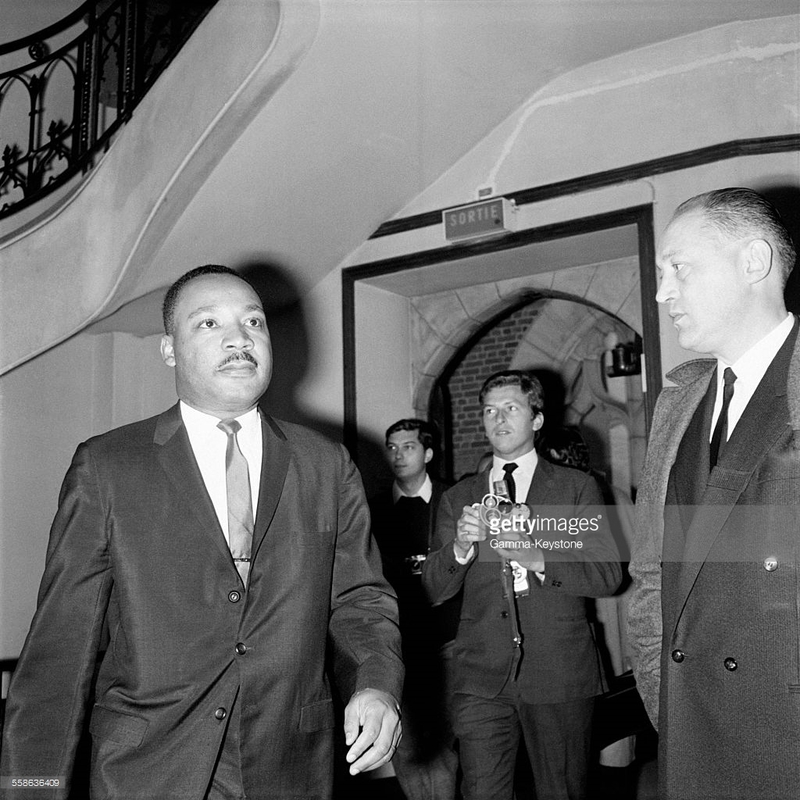 Dr. Martin Luther King Jr. was visiting Paris, raising awareness for the civil rights movement in the U.S. He was already world-famous. 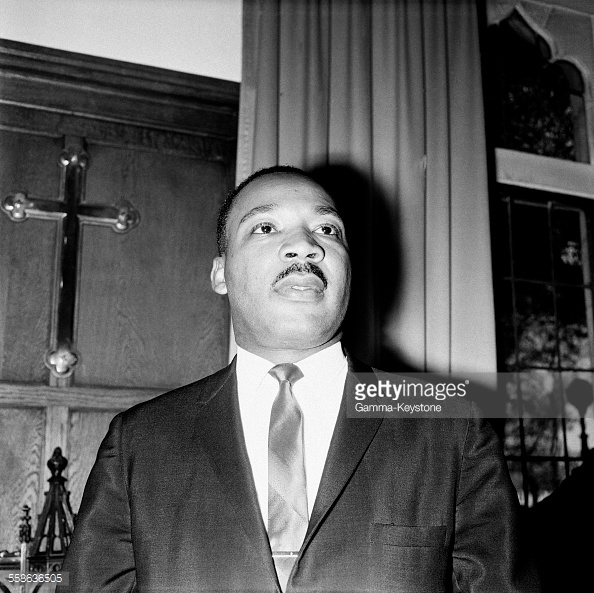 A year before, on Oct. 14, 1964, King received the Nobel Peace Prize for using nonviolent action to combat racial inequality. 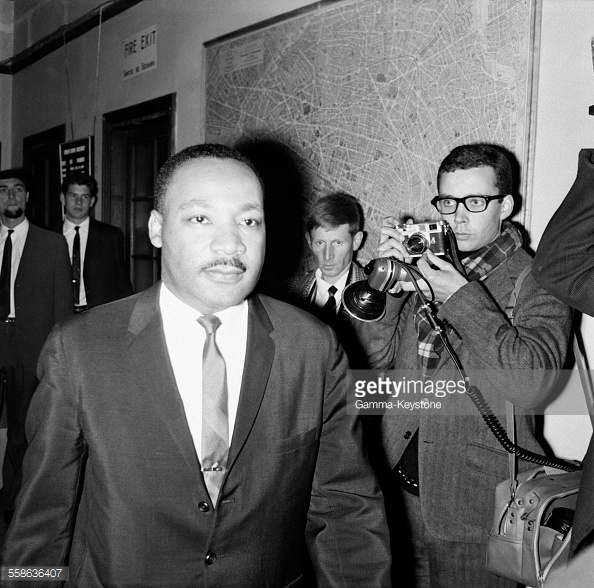 And then in March of 1965, he participated in the Selma to Montgomery marches for voting rights. The peaceful marchers were met with a cruelty that many Americans across the country were able to view for the first time on television. Good came out of it: the landmark Voting Rights Act was passed just five months later. 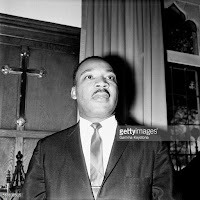 So it was on Sunday, Oct. 24, 1965, that King preached at the American Church of Paris. The title of the sermon was “The New Jerusalem,” but nothing else is know about what he said in the pulpit. One can imagine that it was an early draft of his “I Have A Dream” speech. In the Bible, New Jerusalem is a place where “the old order of things has passed away” (Revelation 21). The top thing on people's minds on that October day, however, was the Vietnam War. The preacher “encountered an intense debate about the America war in the former French colony. King conducted himself, reported the Paris press, with 'extreme discretion. 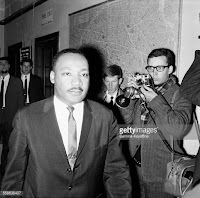 '” (Richard Lentz, 1990) Only in 1967 did the preacher come out against the Vietnam War in an extremely controversial speech at the Riverside Church in New York. 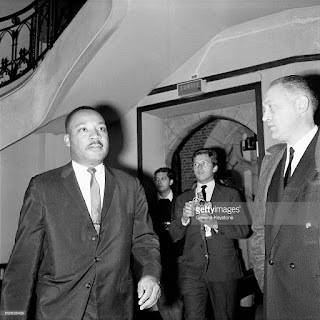 In a sermon today at the American Church of Paris, commemorating King's speech, Rev. 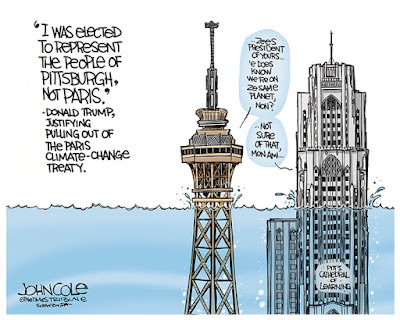 Dr. Luke A. Powery, Dean of Duke University Chapel, reminded us that we are not yet living in the New Jerusalem--naming the black victims of the recent shootings in the U.S.
No one knew exactly what King said in Paris that day, 50 years ago, but I imagine that it was very much something like that. The Female French Resistance: Truth Or Fiction?